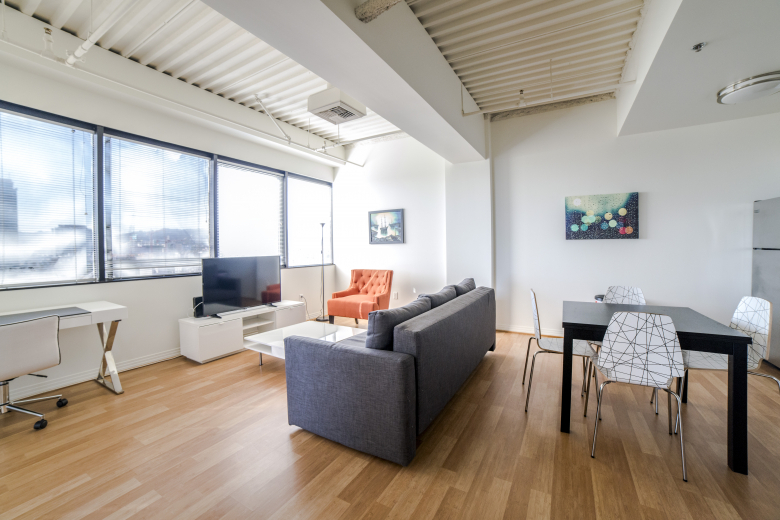 The Loft apartment comes fully-furnished with a queen-sized bed and one extra sofa bed. 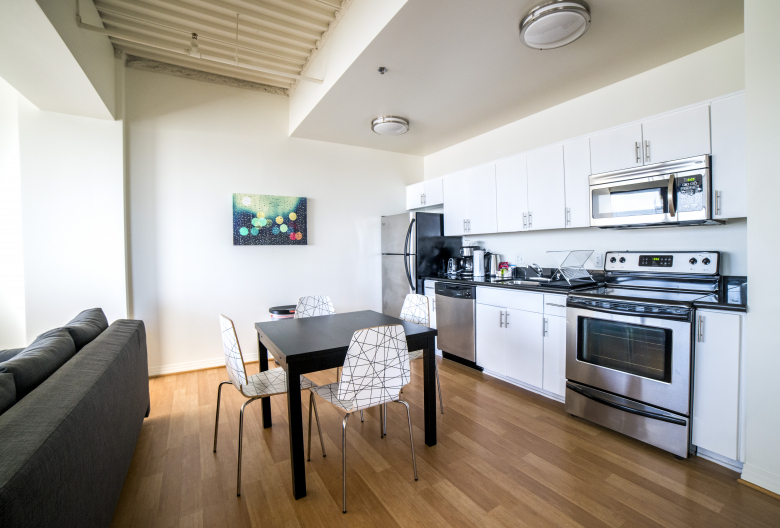 Like all our apartments, the unit is fully furnished and includes a fully-equipped kitchen complete with silverware and basic appliances. 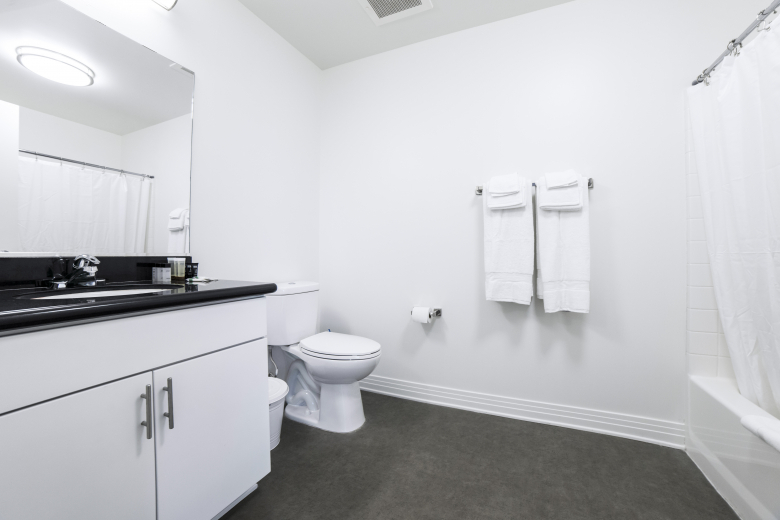 Guests can also make use of a TV set and free, high-speed Wi-Fi in the apartment. 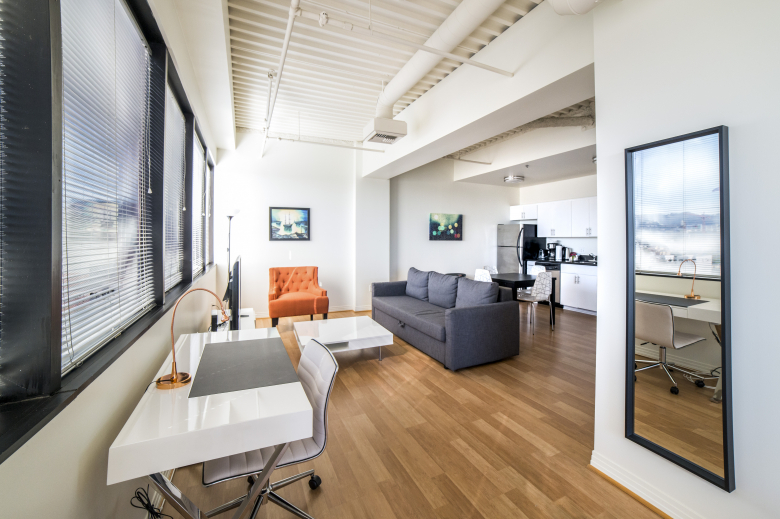 This is a pet-friendly apartment, so if your pet insists on joining you on your trip, for a small fee you’re welcome to bring them along! 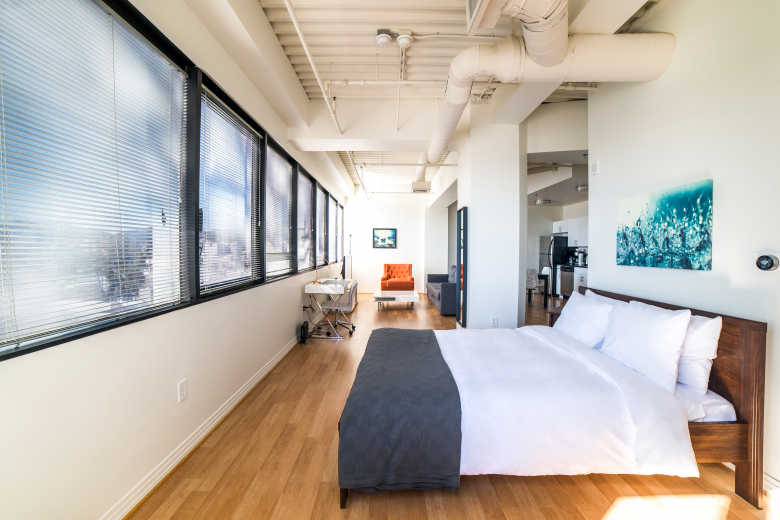 Enjoy the comforts of home in the Loft, and the premiere shopping and entertainment destinations of Los Angeles just outside your door.